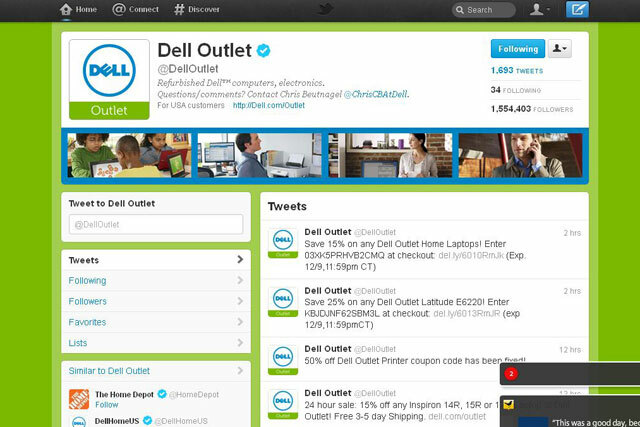 Dell is to offer cash rewards to customers who promote its products on social networking sites if their "share" leads to a sale. Its Share and Earn scheme, launched this week, enables customers who promote Dell products to earn £5 if one of their "shares" leads to a sale of a Dell product worth more than £70. The global scheme is the first of its kind for Dell, which, a few years ago claimed it had surpassed $6.5m in sales from Twitter accounts around the world. According to DigitalAnimal, the agency behind the scheme, the idea is to make customers "micro-affiliates" of the brand. It is using performance network TradeDoubler to track the customers who lead to the sales. Dell is promoting Share and Earn on its email newsletter, which goes out to 200,000 customers, directing those who want to participate through the registration process. Participants can then click to share information on Dell products, across over 300 networks, including Facebook, Linkedin, Twitter and Pinterest. Last month, PeerIndex, the social indexing company, launched a service called PeerPerks that enables brands to reach "social influencers" online, by offering them giveaways and discounts in return for promotion and data.